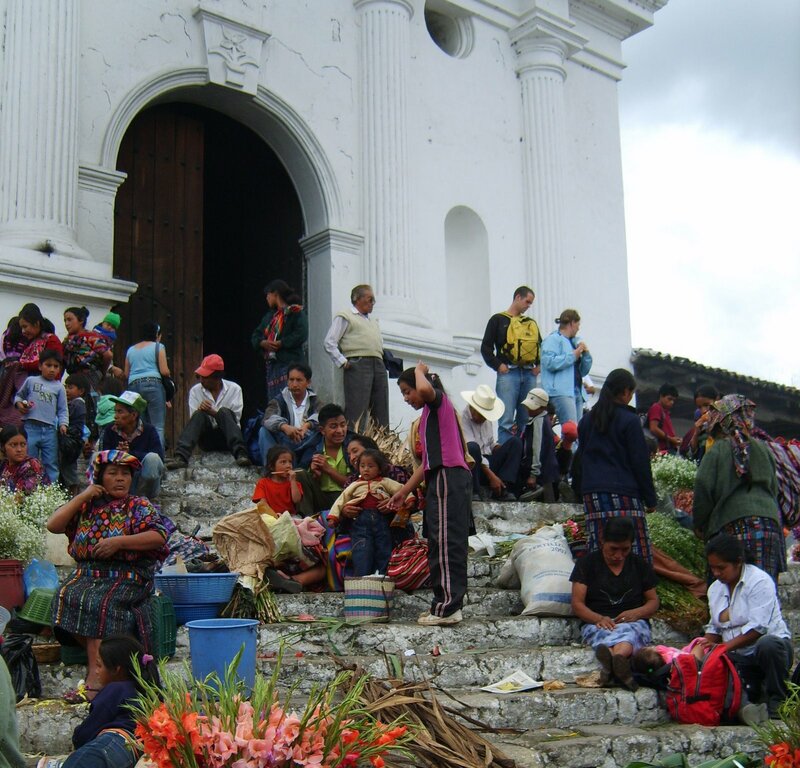 Thank you to Jennifer Victor-Larsen for these pictures of Chichicastenango. 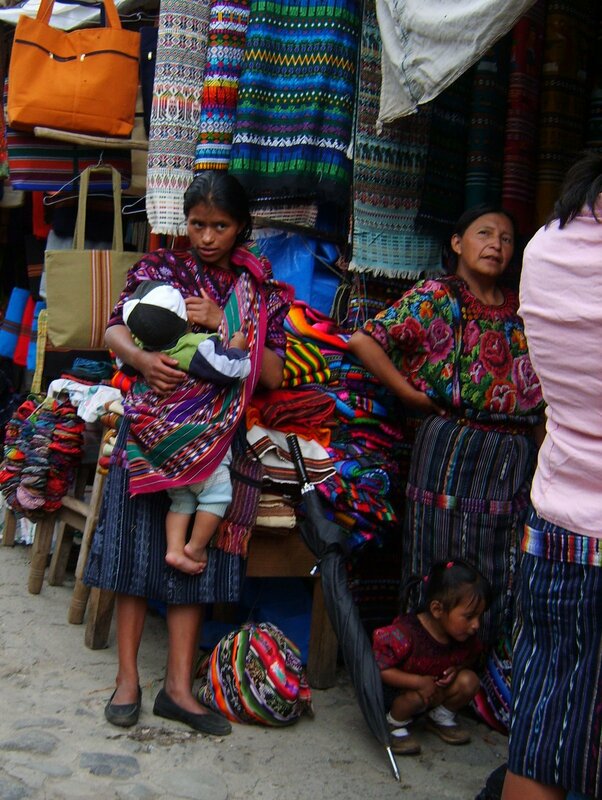 Something that really struck me was how differently the Mayan children behaved compared to American children. In a busy market like this, American children would be running all over, making a lot of noise. The Mayan children were usually sitting or standing close to adults, and playing quietly or watching other people. Young girls would carry smaller children tied on their backs like the mothers did. I can only imagine the reaction of a ten year old girl from the United States if you expected her to carry her two year old sister or brother around on her back all day while helping at the market.